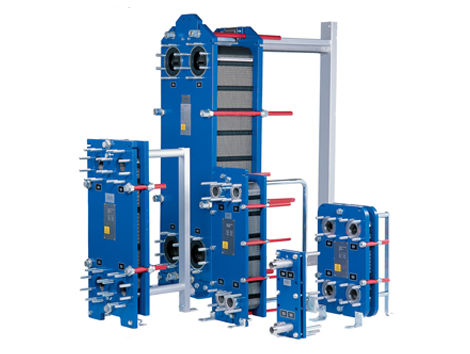 Gasketed plate-and-frame heat exchangers provide efficient heat transfer in compact equipment with a small footprint. The units have a flexible design and are easy to service and maintain. The product range is extremely wide and is used in duties for heating, cooling, heat recovery, evaporation and condensation in industries ranging from HVAC, refrigeration, engine cooling, dairy and food to heavier processes like chemical processing, oil production and power generation. • Direct and flooded expansion chillers.